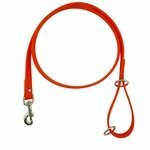 Tufflex, Cable, Durasoft, and DayGlow Leads and Dog Leashes. 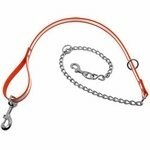 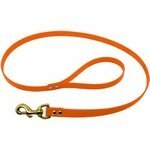 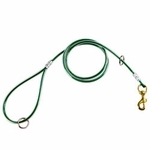 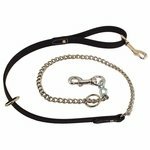 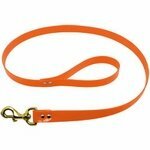 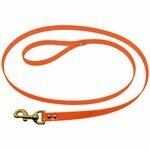 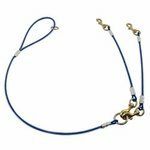 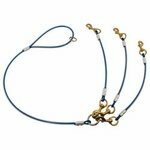 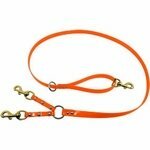 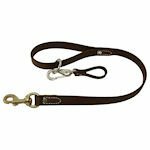 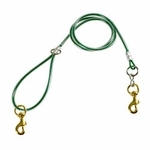 These leads by Mendota, K-9 Komfort and Leather Brothers are virtually indestructible, stay flexible in cold weather, and clean up easily with a damp cloth or sponge. 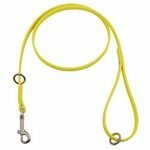 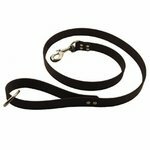 DuraSoft Snap Lead 4 ft. x 1 in. 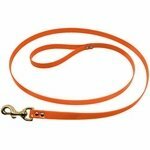 DuraSoft Snap Lead 6 ft. x 1 in.